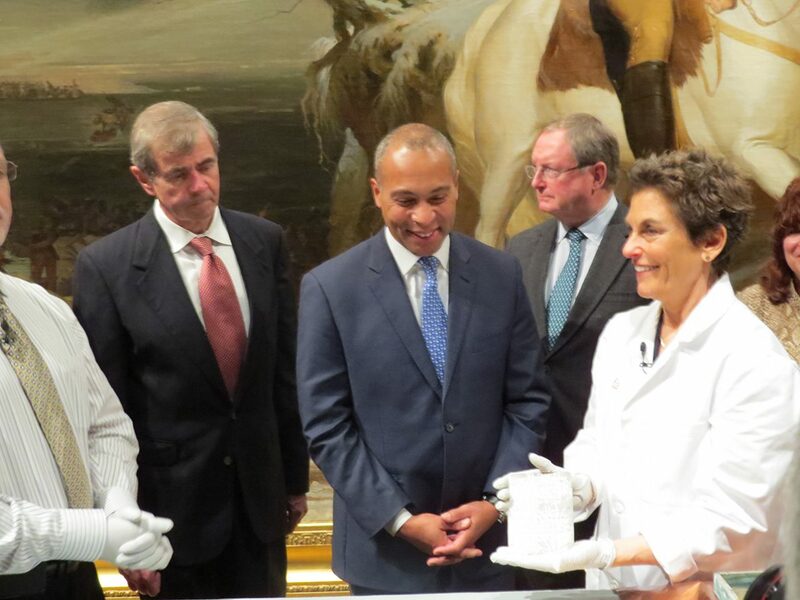 The opening of the 10-pound box from the era of Paul Revere and Samuel Adams took place at the Museum of Fine Arts on Tuesday night. By Bryanna Cappadona·	 1/6/2015, 9:39 p.m.
Michael Comeau and Pam Hatchfield just after extracting the time capsule’s contents. 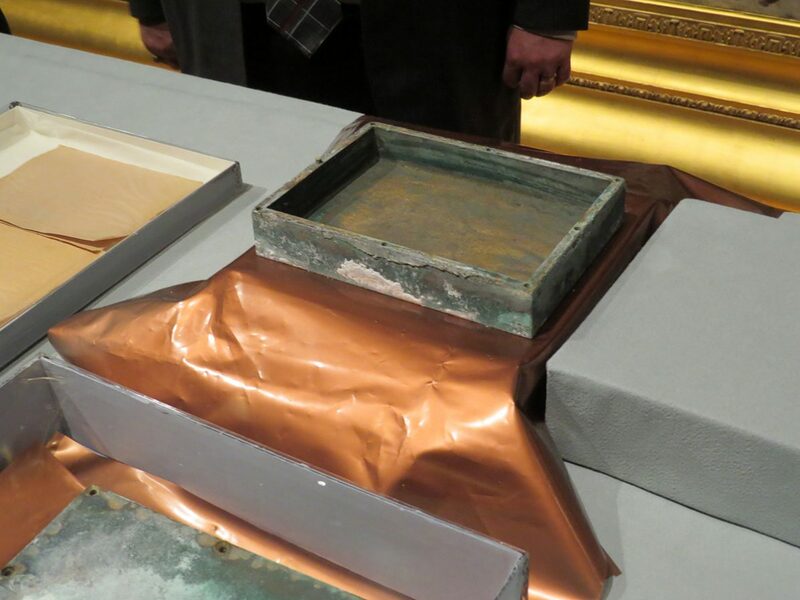 Just three months after historians from the Bostonian Society revealed the contents inside a time capsule found in the lion statue atop the Old State House, preservations at the Museum of Fine Arts successfully removed a second time capsule from the base of the State House. 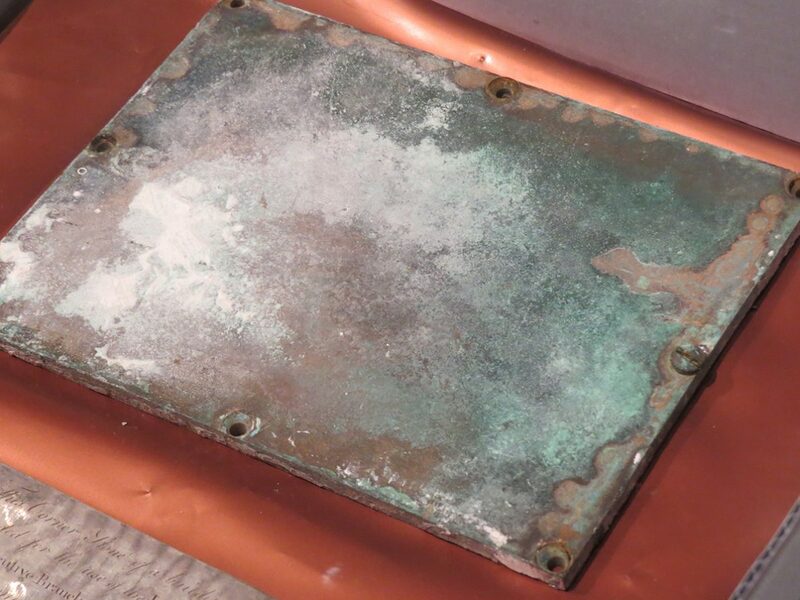 And now, the contents inside what is said to be the oldest time capsule in the nation have finally been revealed. 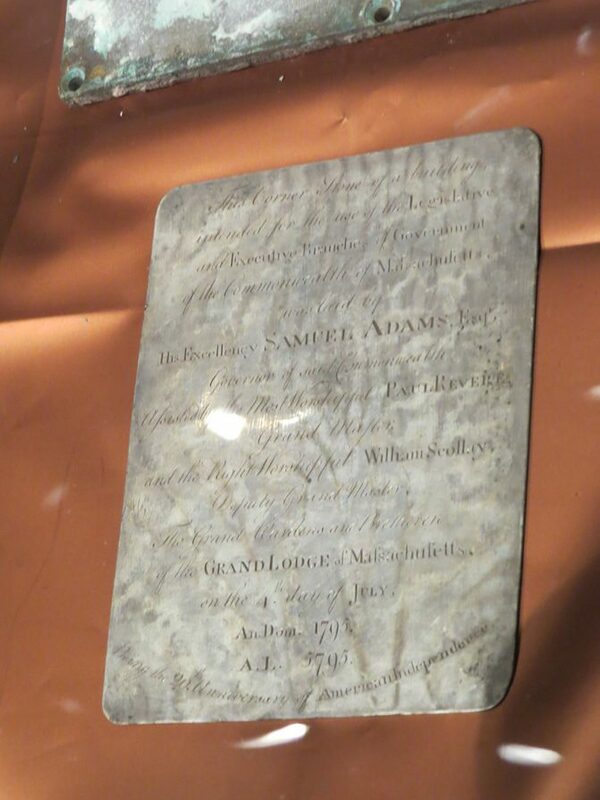 This time capsule was first placed inside the building in 1795 by Samuel Adams, Paul Revere, and William Scollay. 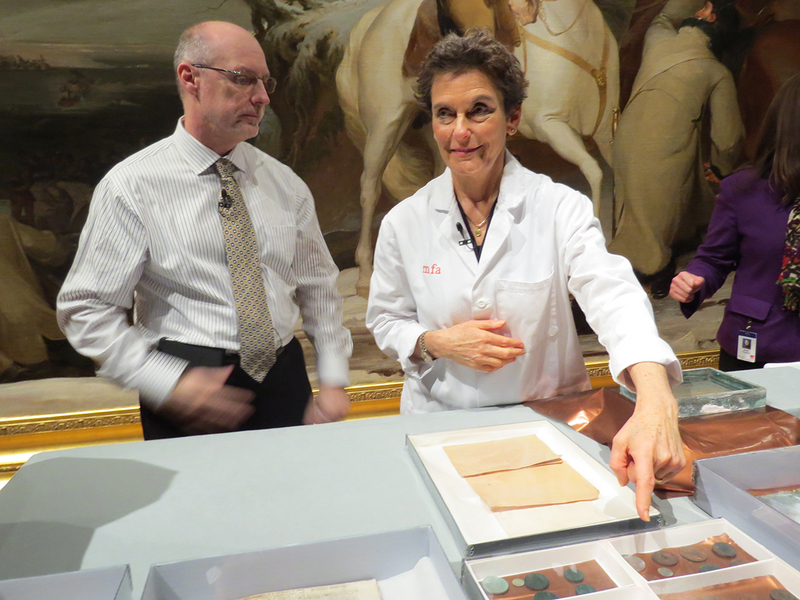 About a century later, when the capsule was found during a restoration project in 1855, more items were added to the box, and it was replaced back into the massive granite cornerstone. 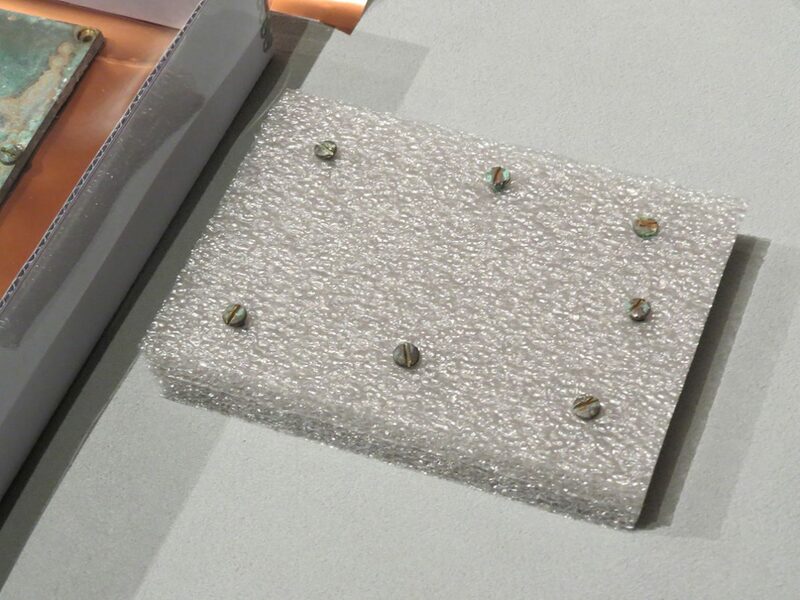 Just before going into the box, Hatchfield explained that she loosened its screws prior to this event, and also went around the top of the box with a fine chisel to loosen the top. “Or else you’d be sitting here watching me do this for three days,” she joked. The small box was packed tightly, which was visible as soon as Hatchfield took of the box’s cap. A newspaper sat on top, which was carefully folded. 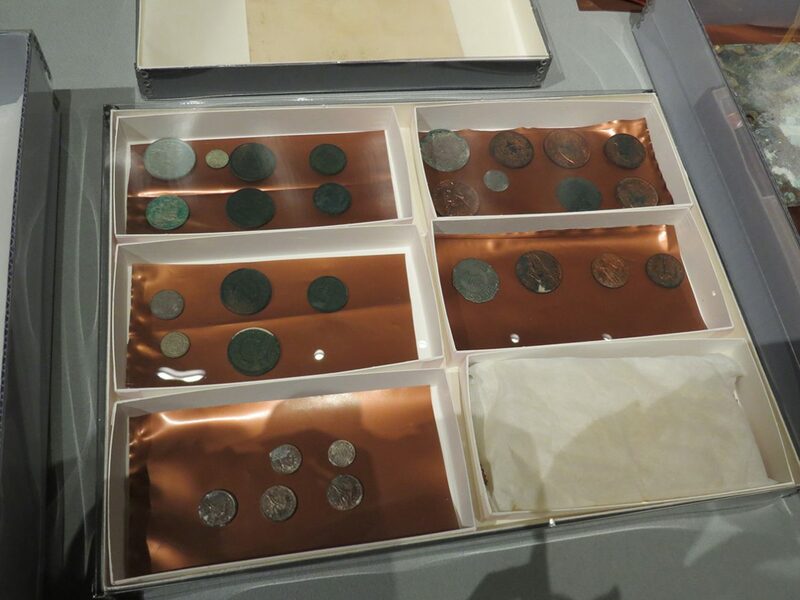 Underneath was a collection of 24 coins in various denominations dating from the 1650s to the 1850s. 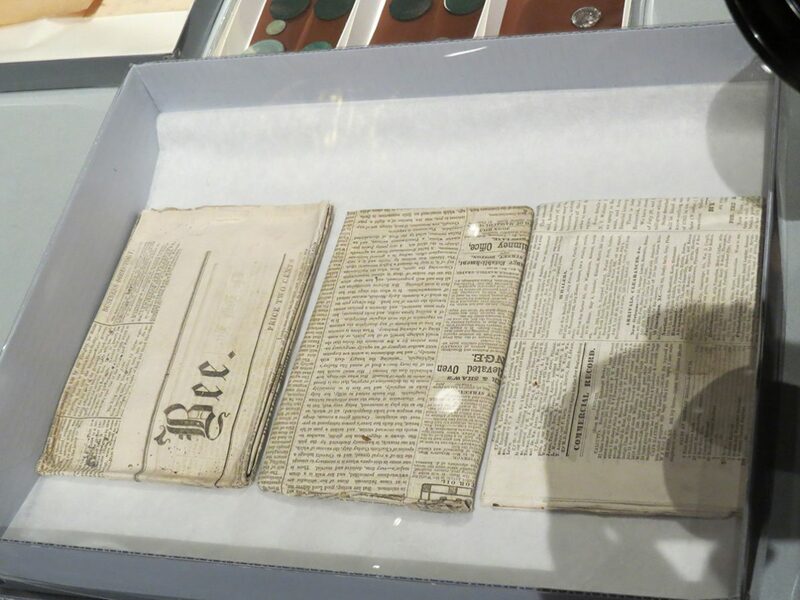 More newspapers were folded inside and appeared to be in very good condition, according to Hatchfield. 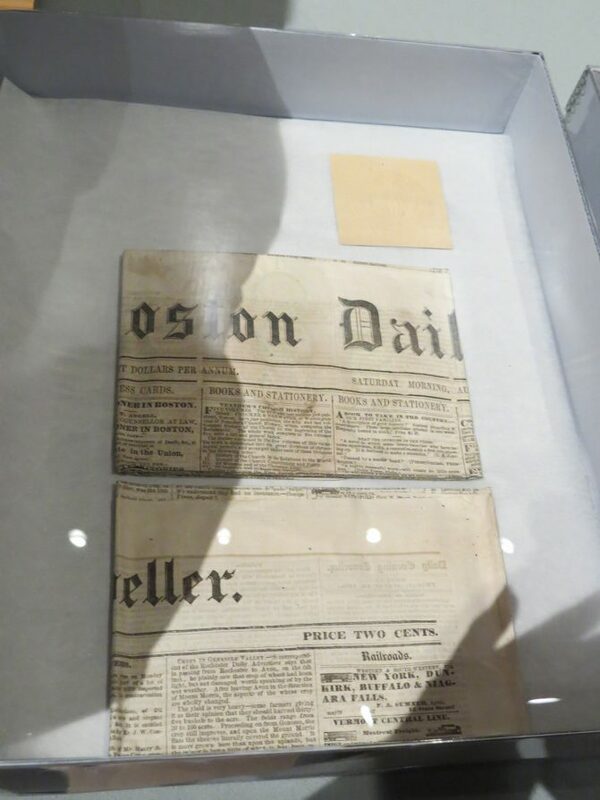 Dates and subjects of the newspapers, however, were not possible to read. 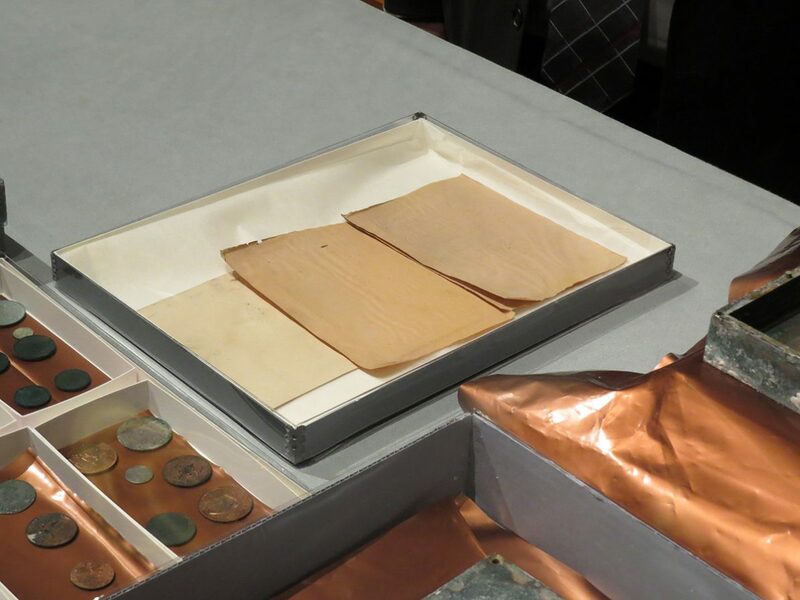 Also in the box was a copper medal of George Washington, a Seal of the Commonwealth of Massachusetts, and a silver plaque inscribed by Paul Revere and Samuel Adams. 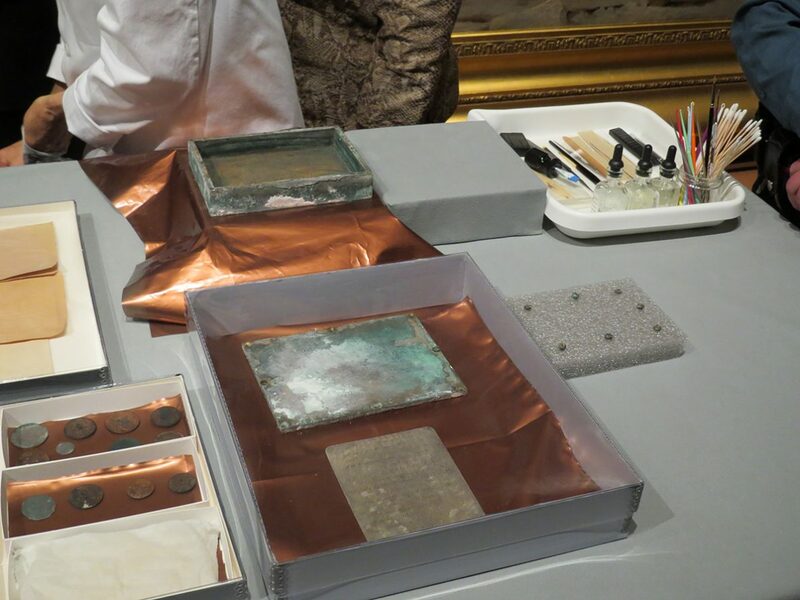 Below, see the collection of the time capsule’s contents.